Lodging in hostels, high speed Internet and amazing hospitality in the oldest capital in Europe: AEGEE members who attend the European Planning Meeting (EPM) in Yerevan next March can expect an event of highest quality. The organising antenna is working hard with a team of 50 people on the event – and they are proud to show you more about their country, a place at the crossroad between Europe and Asia. Armenak Minasyants, Executive Director of AEGEE-Yerevan and EPM Main Head Organizer: Main organiser is Armenak Minasyants, who co-founded the antenna seven years ago and serves at its Executive Director right now. He and his team told the Golden Times why you cannot mustn’t miss this event. Golden Times: How are the EPM preparations going? Armenak Minasyants, EPM Main Head Organizer: The preparatory activities started almost five months ago, when we were informed about the selection results. It is very challenging to have so many different tasks at the same time. We are in a very good shape, the communication is perfect, our team works daily and we already have had a quite solid number of applications submitted. I enjoy the preparatory period, I enjoy every minute of our team meetings and work. Armenak: We approach the EPM in an extremely serious manner. We have a very well established structure, having six head organizers and five different committees working on the project, thus overall reaching 50 people in the organizational team. Only the best out of the best shall be in the organizational team. GT: What do you think about the EPM topic “Borderless Europe – Can we dream that big?”? Armine Sahakyan, Secretary General: A truly European nation will host the European Planning Meeting, at one of the most exciting corners of our network – at the crossroad of Asia and Europe. The event will be a step forward in terms of enlarging the scopes of interaction with the youth of the non-EU member states and overcoming the existing barriers of youth mobility. A few days ago Armenia signed the Comprehensive Enhanced Partnership Agreement with the EU, marking its intention to eliminate those barriers and bring Europe closer to its Eastern neighbors. You see that we, Armenians, already dream that big and we want to share this vision with the rest of you. 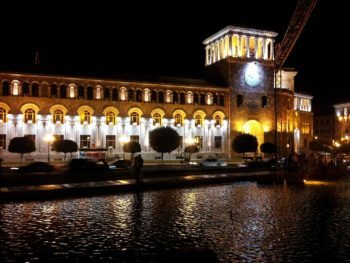 GT: What do borders mean for AEGEE-Yerevan? Which obstacles do you face when travelling to the rest of Europe? Armenak: I strongly believe that mobility is not a privilege but the mobility is a right. In addition to the distance, our members usually face visa matters, as we still do not have a visa-free regime with the EU. This bothers us a lot, as you cannot imagine all the difficulties you pass at some of the EU member states embassies for getting that visa and making a visit for two or three days. GT: At a recent NWM workshop in Sankt-Peterburg many members of Russia, Ukraine and Belarus said that many people in their countries don’t feel European, because their countries are politically and culturally different. Do you understand their point of view? Armenak: I totally don’t share their point of view as feeling European is not about the politics or culture. Europe is not a geography and borders, Europe is about values, and the European values are universal, they have human-centric nature and an impact on our societies every day. If you share these values no matter where do you live, for me you are ideally a European. The national identity and sense of being European are just supplementing each other. GT: How European do people in the Caucasus countries feel? Armenak: The South Caucasus is a region of complicated geopolitics, splits, separation lines and of course true friendship and hospitality. If I refer only to statistics, the clear majority of the population in Armenia and Georgia are considering themselves as Europeans, and the European Union’s perception among our societies is extremely positive. I can tell you more about my country. 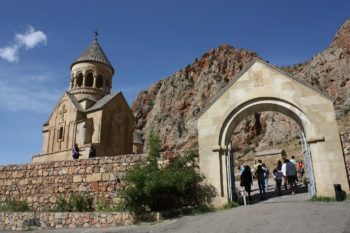 Armenak: In Armenia we have a deep sense of being truly a European nation. We are the first Christian nation in the world, having adopted Christianity as the state religion in 301 A.D., more than a decade earlier than the Roman Empire. 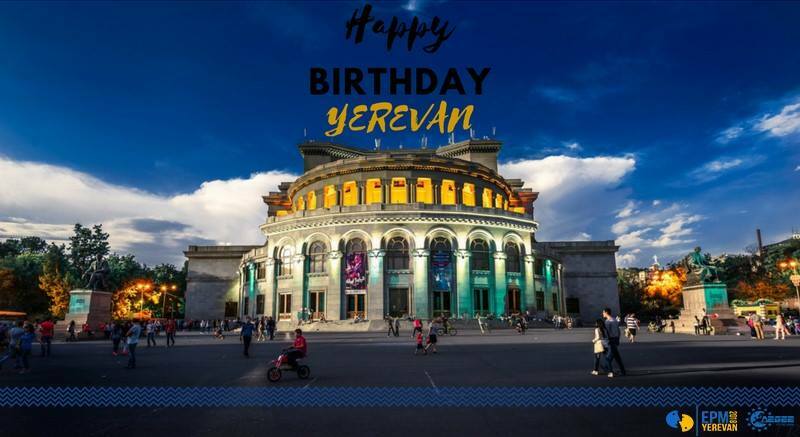 We have the oldest European capital – Yerevan, being established in 782 B.C. Our language, even though our alphabet is not Latin or Cyrillic, is a part of the Indo-European language family. Our country is developing a close political cooperation with the EU. The EU is the biggest international trade partner and international donor of Armenia, annually investing in our economy’s development more than 60 million Euros. 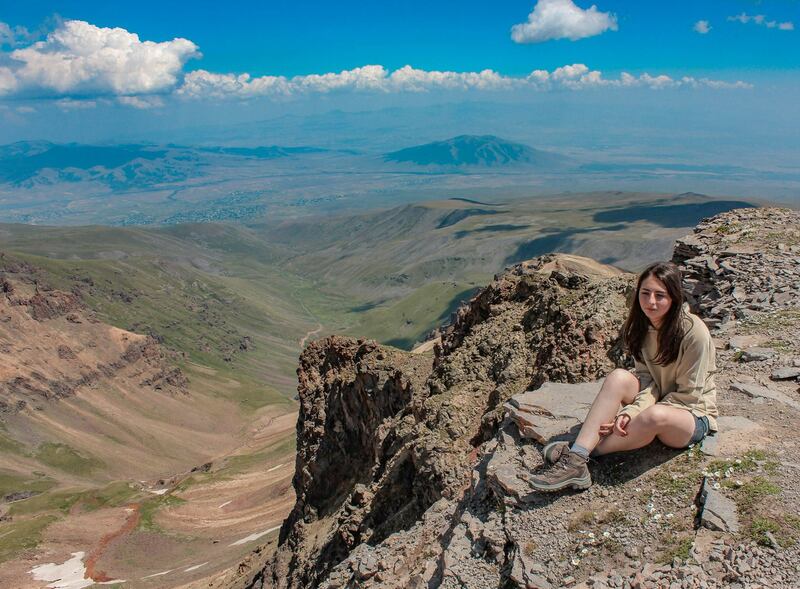 The Armenian young people mostly have fluency at least in one European language, not counting also Russian. Annually hundreds of talented Armenian students make their studies at the leading European universities. Our diaspora is well represented almost everywhere in Europe. GT: Back to the EPM: where will the EPM participants be lodged? Hostel or gym? Izabella Khanzratyan, Local Activities Director: Our participants will be accommodated in comfortable and pleasant hostels in Yerevan. The accommodation venues are friendly, cozy places, where you can find good spirit, tasty breakfast and of course soft beds. 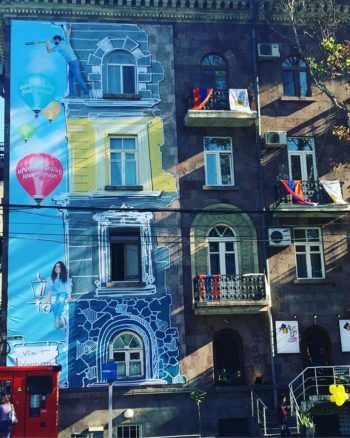 All hostels where our participants will stay are near to the American University of Armenia, where we are going to host our events, or they are near metro stations, from where our participants can get to the university very easily in five to ten minutes. At the same time the hostels are near to the center. My team members will help everybody not be lost in our city of sun. GT: How many participants can you host? 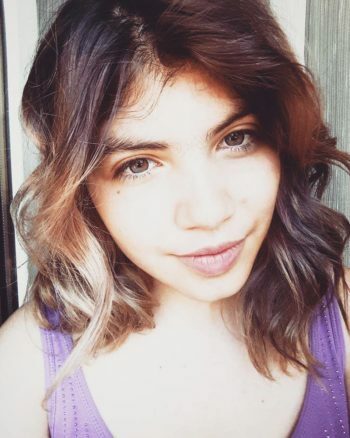 Viktoria Muradyan, Financial and Fundraising Director (laughing): If I reply in an Armenian style, it will sound like “how many do you want?” On more serious note, for us the ideal number will be 250, as this is the capacity of the plenary hall. Every participant is important for us, every participant makes a difference, every participant matters! We want to make this event a truly remarkable experience for everyone. Kalipso Bznuni, PR Director: The EPM venues will be equipped with a very high speed WiFi internet and it goes without saying that we will have a livestream at the EPM both on YouTube and on Facebook. On the other hand, some Armenian local TV channels have also agreed to have the livestream of the event on their webpages, hence if somebody would like to watch the activities in a higher quality, they can always switch to the professional channels as well. 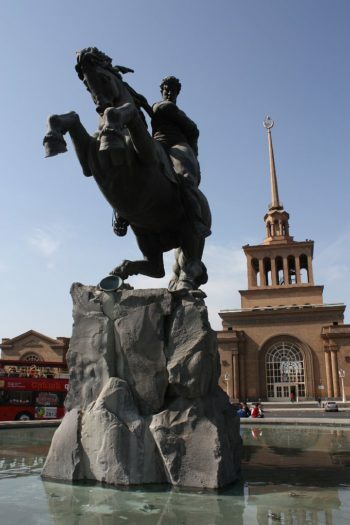 GT: What’s the best way to travel to Yerevan? GT: How about visa? Are they hard to obtain? 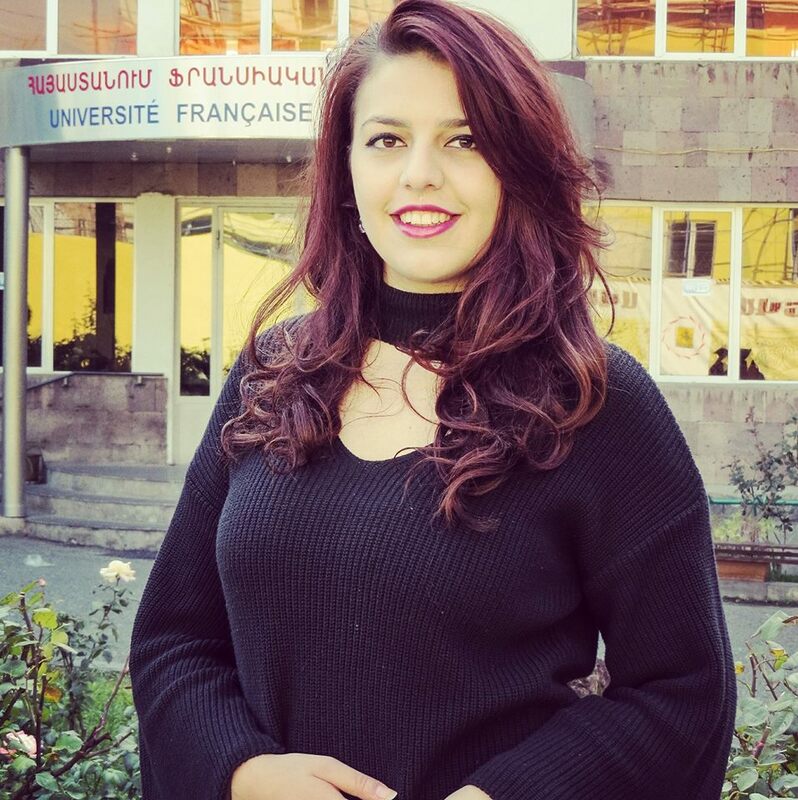 Armine: Armenia is mostly a visa free country. Most of the countries, where AEGEE has locals, enjoy a visa free regime with Armenia, including all EU member states, Eastern Partnership countries, former Soviet Union members, as well as EEA member states. The citizens of Serbia, Montenegro, Macedonia, Albania, Kosovo and Turkey can obtain visa upon the arrival at the border check. The price for visa is 6 Euros, and it will be issued for 21 days of stay in Armenia. Moreover, our local will gladly distribute official invitation letters, if requested. GT: Should the participants bring more time to visit Yerevan? Anna Jotyan and Anna Sukiasyan, HR Managers: It goes without saying, that yes, they need to spend more time here! Our city is 2800 years old, yet modern – and it wholeheartedly offers to all travelers a wide range of historic sights to explore and entertainment centers to enjoy. Many AEGEEans have enjoyed our country so much that they keep returning for new discoveries: some of them are the participants of this year’s Summer University “Keep Up with the Kardashians”: hiking Armenia’s highest summits, swimming in Armenia’s largest lake, tasting traditional barbeque, trying the longest ropeway in the world, jumping from mountain to mountain on the ziplines, drinking Armenian brandy, enjoying the high quality wine, bargaining and shopping in Eastern style open air bazaars are just a few means through which they have experienced the local hospitable spirit. GT: Will you offer excursions to other parts of Armenia? 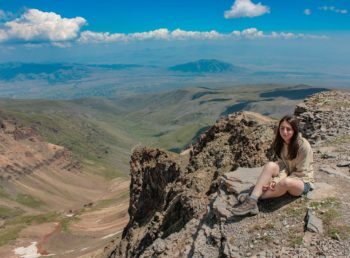 Anna & Anna: Within the EPM activities, we have excursions only within Yerevan, but we will present some offers and travel packs to the EPM participants. Our HR team is diligently working on the best combination of excursions in Armenia, as well as on a pleasant surprise for participants in joint efforts with our neighboring local in Tbilisi. The Les Anciens Autumn University in 2012 was one of the landmark events of the antenna. GT: How old is AEGEE-Yerevan? 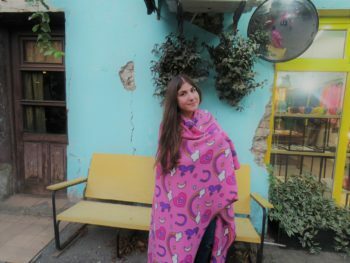 Armenak (laughing): We are seven years old, in Armenian education terms we are in the age of going to school! 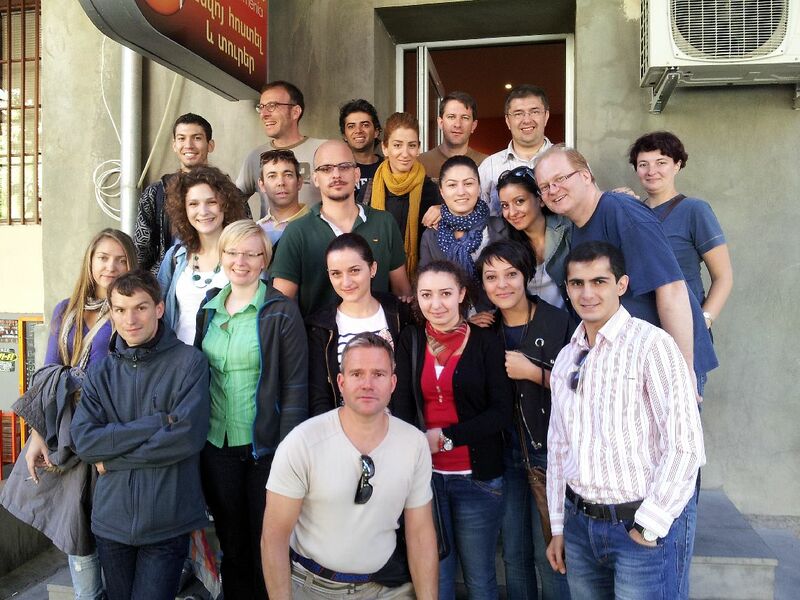 Our local was established in August 2010 by a group of the former Erasmus Mundus students and civic activists like me. If I can be frank with you, I would not have expected us to grow into such a serious local, which also became a strong and impactful youth NGO on the local level. GT: What were your antenna’s biggest or most legendary events so far? Kalipso: Throughout these seven years, we implemented various tremendous and impactful events and projects! Probably the Les Anciens Autumn University in 2012 and all our SUs were the most known European events we did! On the local level we completely rebranded AEGEE’s face and we do real youth work, being both as a student hub, a real resource center for everybody interested in Europe and engaging with Armenia’s Government and the European Union Delegation to Armenia into a real policy dialogue. Just visit our Facebook page, you will understand what I mean! GT: How big is your antenna? Anna and Anna: Currently, our antenna has around 100 members, a vast majority of which have either volunteered during the AEGEE events organized within the past year, participated as delegates or have been involved in the local’s teams of PR, HR, Logistics, Fundraising and Secretariat. 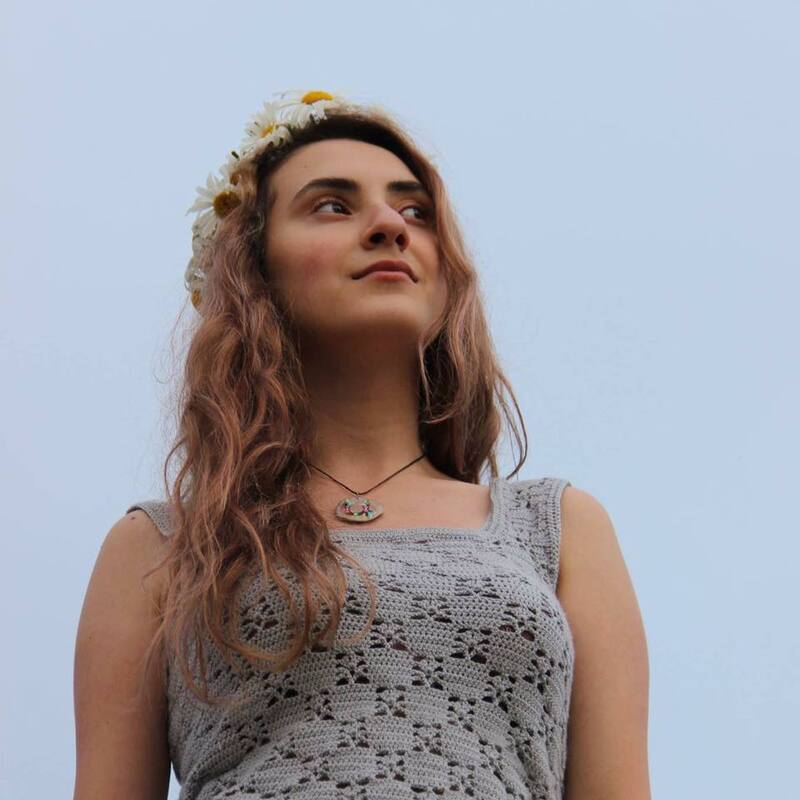 Our members come from diverse educational backgrounds, from IT to Political Science, and a particular portion comes from the regions as AEGEE-Yerevan is the only functioning local in Armenia. GT: How many members are active? 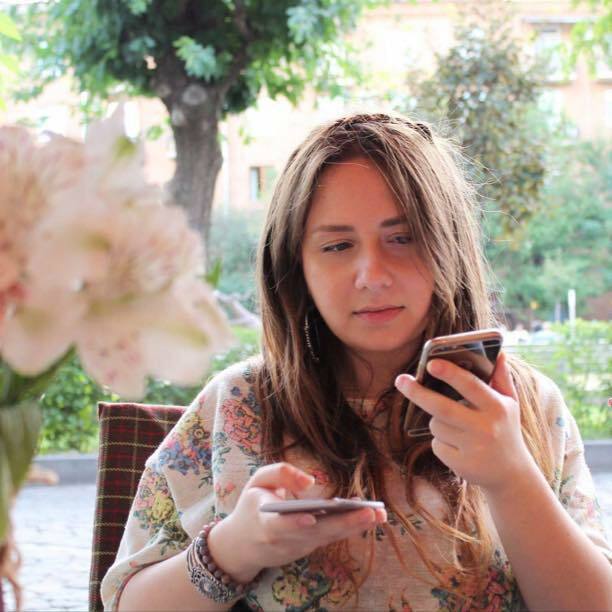 Anna and Anna: If you are a member of AEGEE-Yerevan you are active by default. Try to identify this in the city! GT: Armenak, you were one of the founders of your antenna. And how difficult was it to set up your antenna? 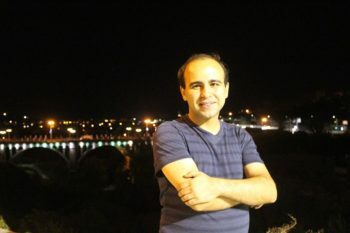 Armenak: It took us almost two to three years to become a visible local organization. Another two years were spent on institutional development. The last two years we have been in the process of constant development. We successfully finished the institutional transition, resulting in the complete re-branding of our activities and aims at the local level. 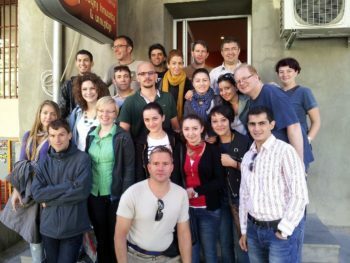 Our budget back in 2010 was roughly 100 Euros; when some people now see what AEGEE-Yerevan is doing, for example an LTC at the Hilton Hotel, people think we always had it! Travel more in Armenia and discover the full culture! GT: What was your motivation to stay so active? 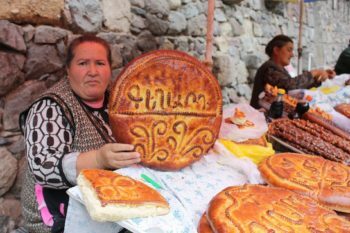 Armenak: What I try to teach to the newer generation members of my antenna is that you shall never take something for granted! I have not been afraid to try something new, and when you’re not afraid, you don’t feel any pressures. You are not too worried; you can express yourself in a different way. It makes you better. And my motivation is simple: to see a better community I live in, to have a better youth policy and to have a better Europe in general! So, I know all about the ups and downs of life, I know that one day I will retire from AEGEE as well, but I always say that I need competition, and I need competition every week, and I don’t know another way than to work at the top level, which is what I do every day. GT: Anything else you would like to say? Armenak: Get ready for the most exciting and the thrilling experience of your life! 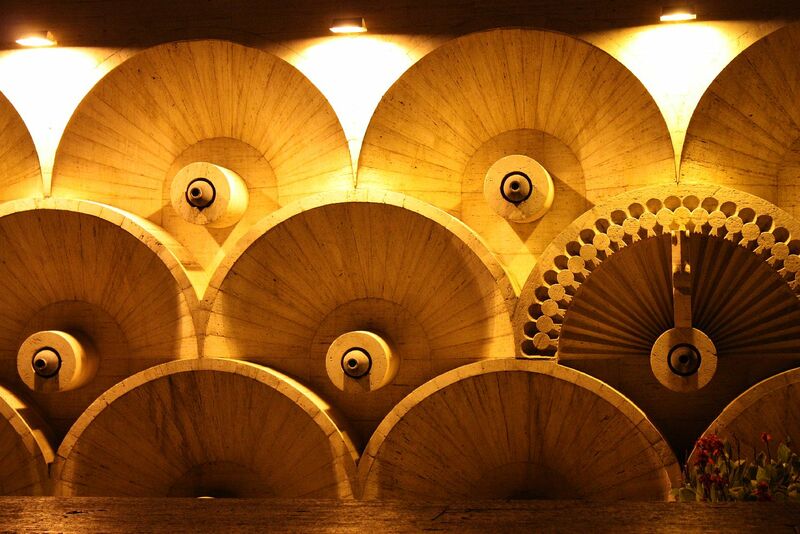 See you soon in Yerevan! And don’t forget your selfie-sticks! The EPM will take place from 8th to 12th of March 2018. You can apply here. The deadline: 1st of December. Check out the EPM on Facebook.